Gobber was once a fierce warrior but lost his left hand and right leg during Berk’s long wars with dragons and replaced his limbs with metal prostheses he made himself. He is now in charge of the village’s smithy and armory, as well as teaching the teenagers in training. 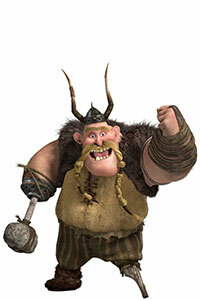 Gobber often looks out for Hiccup and was the one to convince Stoick to admit the teen into Dragon Training.